> We're adding new images every week! Click here to be updated. Each Sunday since 1986, the Rebbe would stand tirelessly in a small room near his office as thousands of people filed past to see him and receive his blessing. 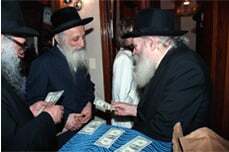 To each of them the Rebbe gave a dollar bill, appointing them as his agent to give it to the charity of their choice. Often people would use the opportunity to ask the Rebbe's advice and guidance on personal and communal issues, and to request his blessings on their behalf. 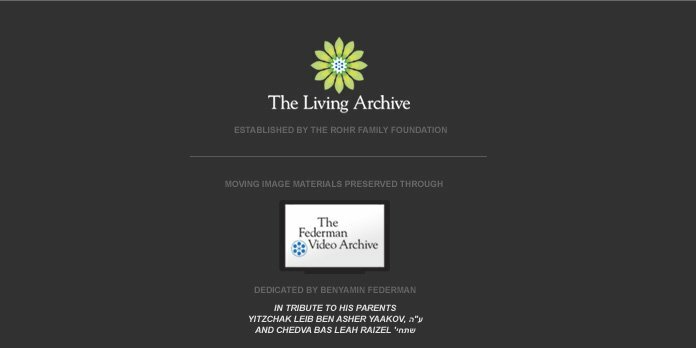 The Living Archive Preservation Project has launched this interactive archive so that you can locate and request a video of your personal moment with the Rebbe. Browse the complete collection of photos at TheLivingArchive.org, JEM's photo website.